Discussion in 'Cars and Transportation' started by tonybelding, Jun 9, 2007. Just for fun, I thought I'd start a thread to show off some favorite car photos -- some because they are beautiful, some because they are amazingly ugly, and some that are exotic, funky, or just plain weird. Could this have been made as a prop for some kind of movie? I really don't know what the story is behind it. And now, the beautiful. . .
Can you believe how futuristic this must have looked in 1968? It still looks fantastic today. This photo convinced me to switch my Tesla order (for now at least) to Electric Blue. Now, if only we could get Yokohama to whip up some "red line" tires for the Roadster, that would really be perfect! The Stingray does look fantastic in orange too. . . The "1999 Osca 2500 GT" photos don't work for me, I can't view them. 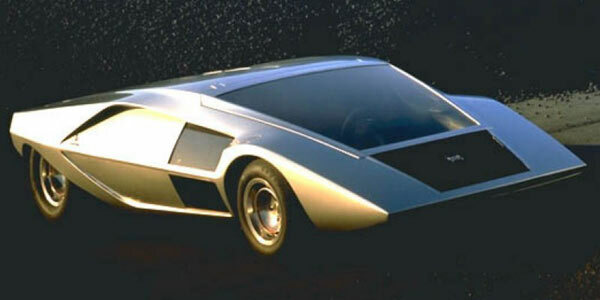 The 1970 Bertone Stratos photo reminded me of this. . .
Nice Toys! Some remind me of the vehicles used by the Car Acrobatic Team in Speed Racer. The Impact is arguably in that description as well. As an owner or ex-owner of at least 3 cars found in the Micro Museum, I don't think it's appropriate to use any ICE cars as an example. I like goofy little cars. Cars that put a smile on people’s faces when you go by. (The street legal versions of the Electric bunny slippers or Muffin floats mentioned in this Tesla blog http://www.teslamotors.com/blog5/ Typically these are fuel saving cars and I admit that some are amateur attempts at car design. But I would not even include the Brütsch Mopetta in a list of poorly designed cars; its clean lines are the epitome of simplicity. I would be thrilled to add one to my collection. The Pontiac and Camaro of that generation were very striking when they appeared in 1993. If they haven't aged gracefully, I think it's only because they were too successful, and familiarity breeds contempt. That's particularly true in the case of a relatively inexpensive, American-made, not-quite-a-real-sports-car. I'm sticking my neck out, and I know people will probably make fun of me for this. . . . But I think another great design is the 1993-1997 Pontiac Firebird. Are you a closet "Night Rider Fan"? How about all the cool, Australian, funky modded cars from Mad Max & Road Warrior? There was a character called "The Night Rider" in those movies. I'm not talking about those 1980s Firebirds at all, I mean the 1993+ models, the "fourth generation" Firebirds. As for the Mad Max car. . . . .